Notes on lifestyle, adventure and celebration. Wherever you’re heading, you deserve the best wearable compass. Do you just instinctively know which way is north? No? Me, neither. Finding the right tools to combine with your positive mental attitude. How well does your workspace fit you? Making your workspace a cosy and inspiring place to be. 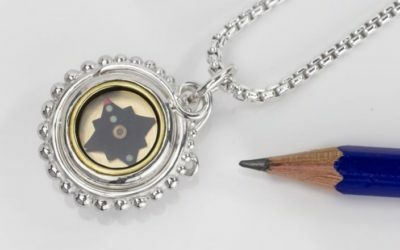 Looking for a graduation compass necklace? Never let go of what inspires you. What does a Peacock symbolise? Just before setting out on an amazing challenge, Stuart gave his wife a compass gift. Is this a Compass for a Man? What makes a compass suitable for a man to wear? Are there rules for such things?! Here are a few helpful factors to help you choose the right chain for your compass. Factors such as “fiddlability”! Fun, Devotion and Balance. A New Direction. Ever noticed how the answer you’re looking for is right there, waiting for you, after a good night’s sleep? Making some time for yourself, every day. Making some time for yourself each day is good for the soul. Exploring underwater with her compass pendant, Diane discovers peace and tranquility, and gives a top tip for snorkelers!